Apartment in Palermo Soho, Buenos Aires - Violet Loft ! 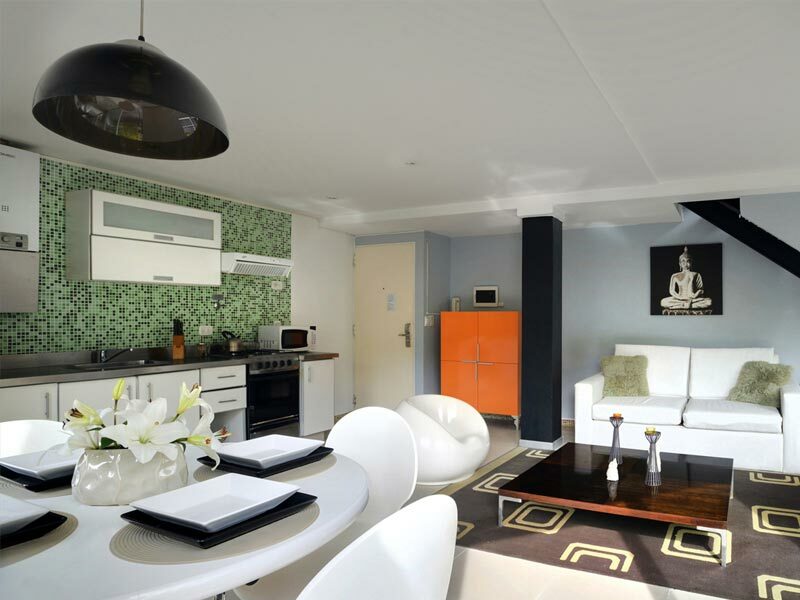 Great three storey 730 square feet apartment in the heart of Palermo Soho with balcony and private rooftop terrace. 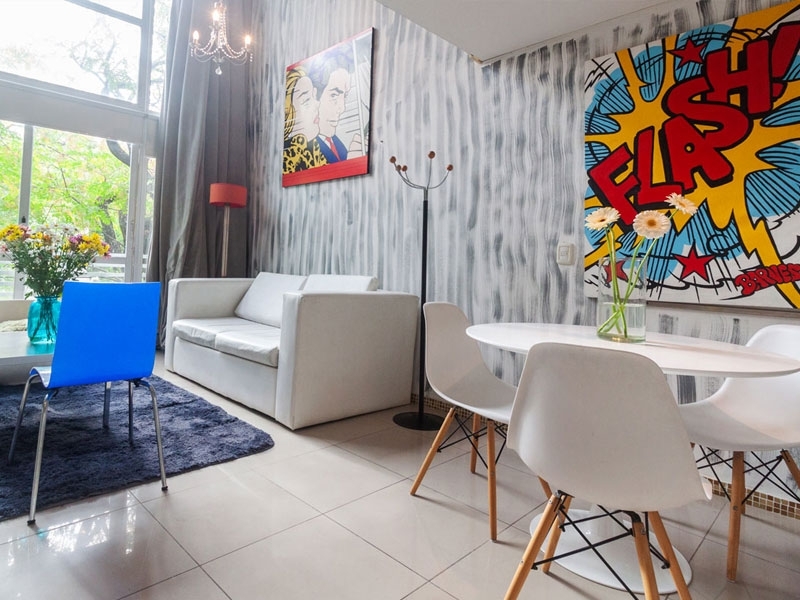 Individual is the best way to describe this modern, contemporary three storey apartment for rent in Buenos Aires, colorful and bright, with a pop art theme running through it. Designer furniture, polished porcelain floors and pictures of Marilyn Monroe work together to create a space that both Andy Warhol or Roy Lichtenstein would truly feel at home in! The apartment’s balcony is accessed from the living room and provides a perfect space to reflect on the events of the day. On the second floor, the master bedroom with spacious walk-in closet, ensuite bathroom and office space creates a great area to both work, rest and play. The ensuite bathroom continues to carry the pop art theme with its individual look and feel. Last but not least, the terrace on the top floor will be the perfect place to enjoy a good glass of Malbec and appreciate the tranquility whilst planning your next adventure – After all, most people believe that Buenos Aires is the actual city that never sleeps! This apartment is set in the same building as Camel, Blue, Red, White and Orange Lofts, so it is also ideal for a group of friends or work colleagues looking to share a vacation or work assignment while still having your own privacy and space – A great alternative to a hotel room!